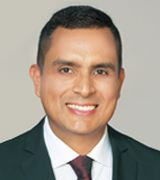 German Llanos has been a Real Estate agent with Miami Dream Properties since the beginnings. He helps people to invest in Real Estate, first time home buyers and experienced investors in Miami. I know that buying or selling a home is one of the most important things you will ever do, and my team and I want to help make that experience as smooth and successful as possible, he says. – Extensive knowledge: he has been selling homes, helping buyers and investors, flipping and managing properties for the last 16 years. – He works 80 hours a week. Myself and my team are always there for you, when it is convenient for you not for us. – Integrity. He will always do what it is best for you and will give you honest advise. – He speaks English and Spanish. If you are a builder or developer please meet with our construction team and get the best advise for free.